With the GVR Strings Series Gibson goes "back to the roots"! 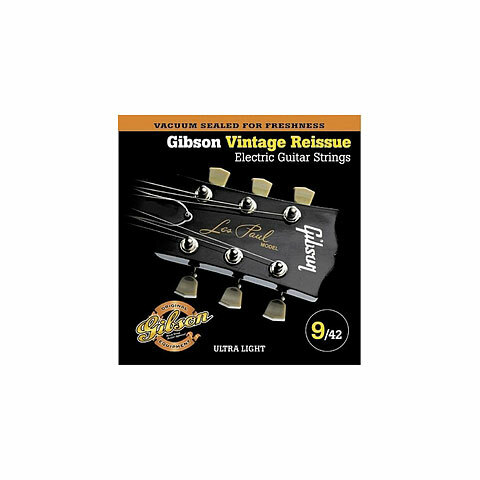 The Vintage Reissue strings are made from the same materials as in the 50s. A Hexagonal core of Swedish steel is wound with a Pure nickel wire. The result is a warm, balanced sound without shrill heights.